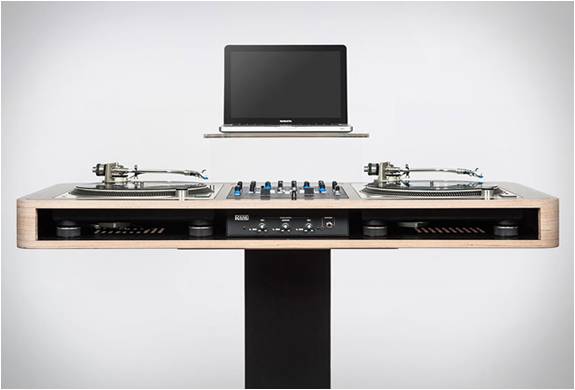 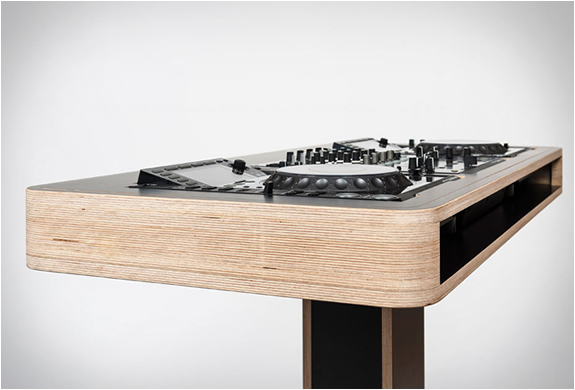 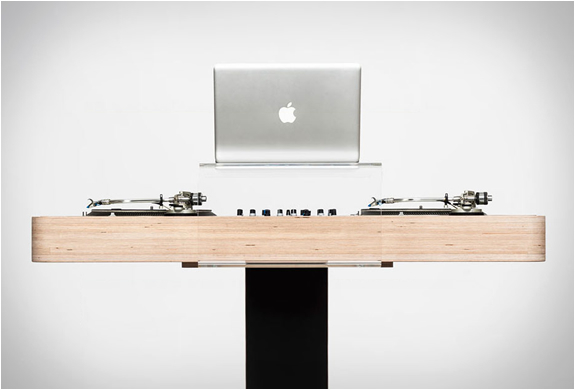 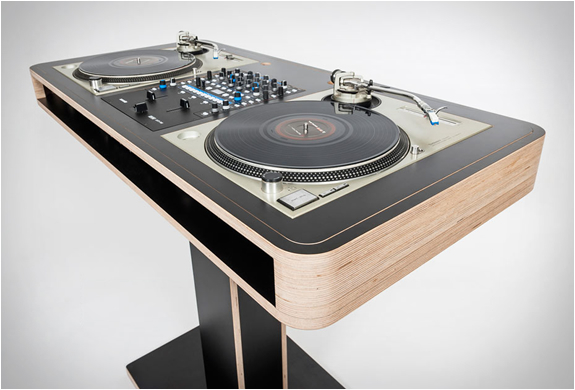 Stereo T by Hoerboard is the latest addition to their DJ workstation family. 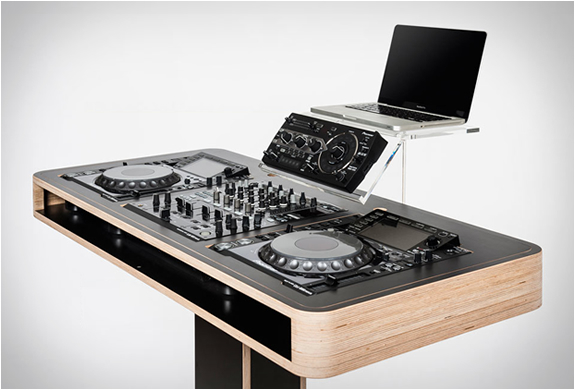 The beautifully designed mobile DJ Station is made from an exclusive multiplex material with a stain-resistant laminated surface and is available in black or white matt. 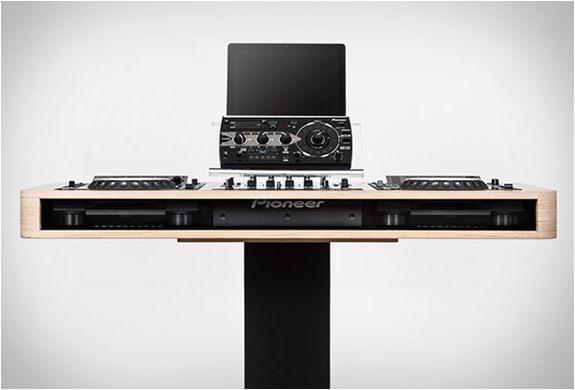 Unlike their other DJ Stations, the Stereo T comes as a construction kit, making it easily portable. 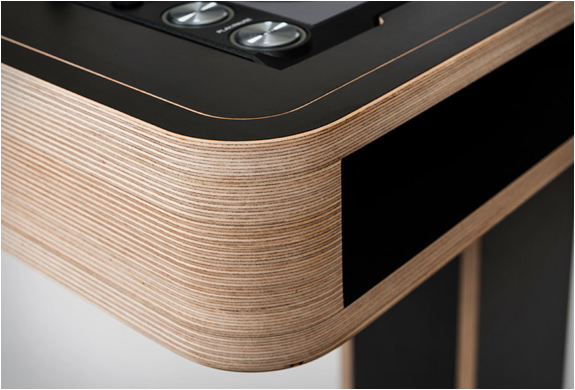 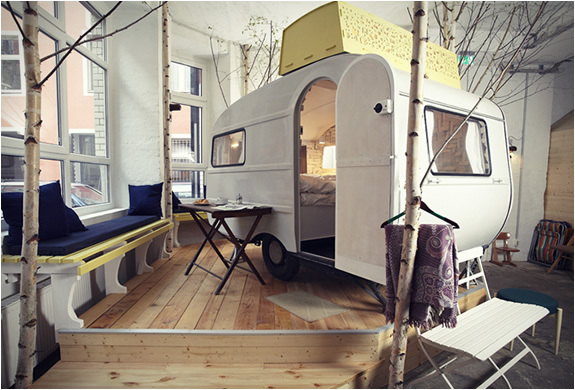 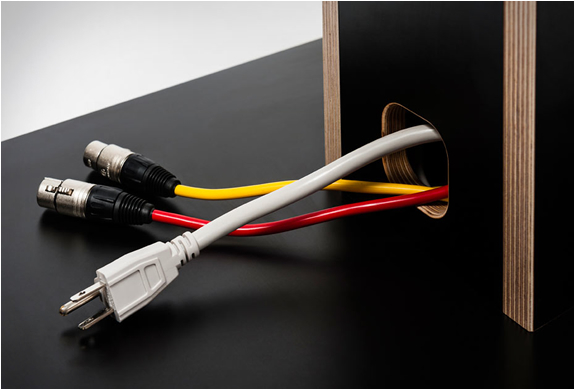 The minimal design hides all power cables in the corpus, all connections are also hidden underneath the desk.